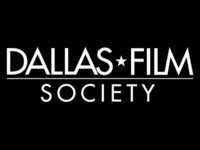 The Dallas Film Society is an organization that works to promote and bring films to the city of Dallas. Each year, they host the Dallas Film Festival, which has showcased countless films to festival goers in town including Hot Fuzz, The Hurt Locker, The Brothers Bloom and Moon. They have also given out star awards to actors and filmmakers such as Helen Hunt, Adrien Brody and Guilelrmo Arriaga.